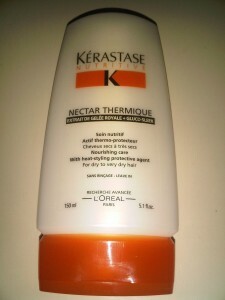 Kerastase Nectar Thermique is a nourishing leave in conditioner cream which contains thermo protective heat activated ingredients to protect the hair from heat styling. The idea is that softness is sealed into the hair fibre, protecting dry to very dry hair and in addition the hair fibre is also nourished and protected so as to avoid the drying out which heated styling tools often cause. The formula includes the rich and healing Royal Jelly which softens and moisturises the hair, leaving it glossy and healthy and the cream also has the added benefit of improving drying performance. In terms of doing what it says on the tin, this product really lives up to its hype and praise. Those who use heat protection sprays may find it odd to use this cream at first, but will soon get used to it. The formula itself is very light so there is very little chance of overloading the hair with product causing it to become greasy. I use this product on towel dried washed hair, using a almond sized amount and smoothing it through from roots to ends. Often I leave my hair to air dry, and unlike many other products (most notably moose’s)which leave naturally dried hair crunchy, this leave my hair both smooth and silky. 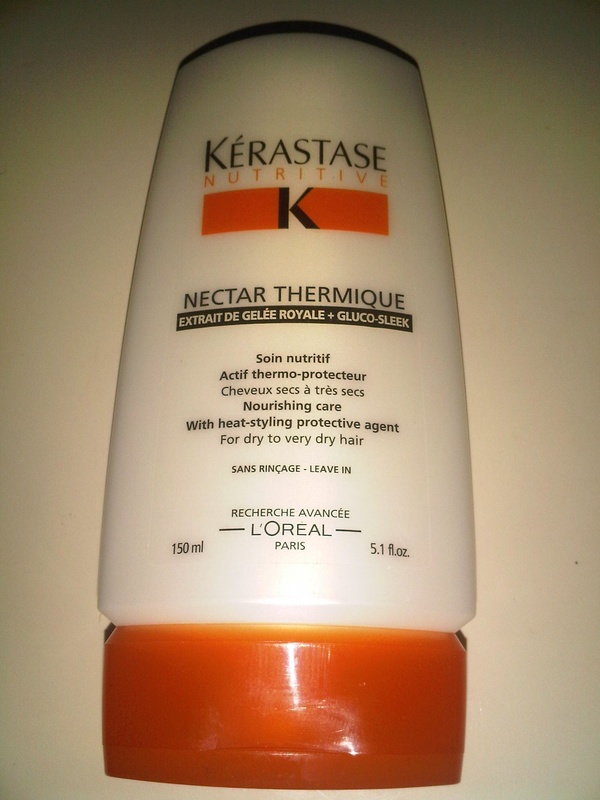 If you are interested in purchasing Nectar Thermique please visit HQ Hair here.